With so many regulations popping up across the country limiting or outright banning the use of plastic straws, I’m getting a lot of questions from folks about why this is even an issue to some disabled people. And to be honest, some of the questions are well meaning, but many folks just don’t get the point – or points – that banning the use of plastic straws in restaurants puts yet another undue burden on our disabled citizens. Maybe some people just never thought about it before, or maybe they don’t understand the technicalities behind it all. Whatever the reason, here are some of the questions I’ve fielded in the past month, along with the answers I’ve given. Feel free to pass them along. What did people do before paper straws were invented? To be clear, many people thought paper straws were invented in the 1960s, but they actually date back to 1888, when Marvin C. Stone came up with the idea while sipping a mint julet on a hot Washington DC day. But before straws were available, people who were unable to lift a cup up to their mouth had someone do it for them. Today we live in a society where we encourage independence, and straws help make that possible. Think about it — people who lack the strength or ability to move their arms can now have a sip whenever they want with a straw. They don’t have to wait for a caregiver to come over and manually offer them a taste of the beverage. How would you like it if you had to ask someone to help you every time you took a drink? And for the record I just took three sips of water while I wrote this paragraph. I’ve seen people in wheelchairs drink without a straw, so it is possible. Explain that to me. Sadly, I did have to explain this to more than one person. People use wheelchairs for a variety of reasons, and not everybody in a wheelchair lacks the strength or dexterity to grasp a cup and lift it up to their lips. Why can’t they just use paper straws? Not everybody has the strength and muscular control in their lips to hold a straw in place with them. 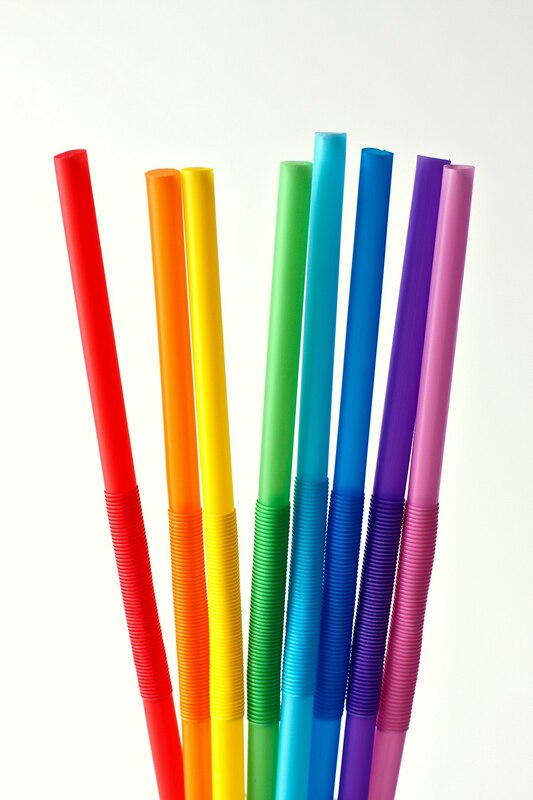 People who don’t have the muscular control bite down on the straws to hold them in place, and paper straws just don’t hold up to biting like plastic straws do. Paper straws also disintegrate when you try to drink hot liquids with them. OK, then what about bamboo straws? Unlike plastic straws, bamboo straws are not flexible; and I’ve not seen any bendy bamboo straws. Additionally, parts of the bamboo can chip or flake, presenting a choking hazard. Well, they have metal straws that have “bends” in them. How about those? Unfortunately the metal straws conduct heat when sipping hot liquids, which can result to burns on the inside of the mouth. Many people have also reported dental pain when drinking a cold liquid with a metal straw. So why isn’t it a good solution to just do away with plastic straws and have folks that need them bring their own? Although on the surface it would seem a solution, it places yet another undue burden on disabled people. Able-bodied people can zip through the drive-though for a quick drink whenever they want to, but if a disabled person didn’t happen to remember to pack his or her straw that day, then they can’t even enjoy this simple impromptu task that most of us take for granted. It’s almost like asking someone to bring their own toilet paper if they want to use the toilet. What happens if you forget it? OK, then what about having plastic straws be available to people with a medical need upon request? Again it places an undue burden on people with a disability. Nobody wants to be singled out, and having to identify yourself as having a disability just to have a drink seems a bit unfair. Imagine some employee yelling to the the back “We need a straw up here – we have a disabled customer”, and having everybody in the line stare at you for holding them up. It isn’t fun, and again for something as simple as a drink, it shouldn’t happen. But we need to save our environment. Why can’t you get behind this campaign about reducing waste? I’m in favor of reducing waste, and I understand that single-use plastic straws take years to break down. I also happen to think that straws are the scapegoat and are getting the lion’s share of the press – and the blame – for the garbage that litters our highways, parks and beaches. Restaurants also use plastic plates, cups, freezer bags, garbage bags and to-go boxes, and they can certainly cut down on those without causing any harm to people with disabilities. Plastic straws are just the tip of the iceberg – some restaurants still use Styrofoam which is even more harmful to the environment. So what do you think the solution is? Well until someone invents a sturdy compostable straw that can handle hot liquids, I think we should take a page from California’s Drought Plan. When water became scarce the state required all restaurants to only offer water on request. It made a huge difference, so I say only offer straws on request. Keep them behind the counter, and have everyone ask for one if they need or want one. It would be fair to people with a disability, as everyone would have to ask for one, and they wouldn’t be singled out. Plus it would save a lot of straws in the long run. And nobody would be humiliated or denied service when stepping up to the counter to get a drink. This entry was posted in Editorial, Food and tagged bamboo, disabled, metal, plastic, restaurant, straws, wheelchair by Candy B. Harrington. Bookmark the permalink.